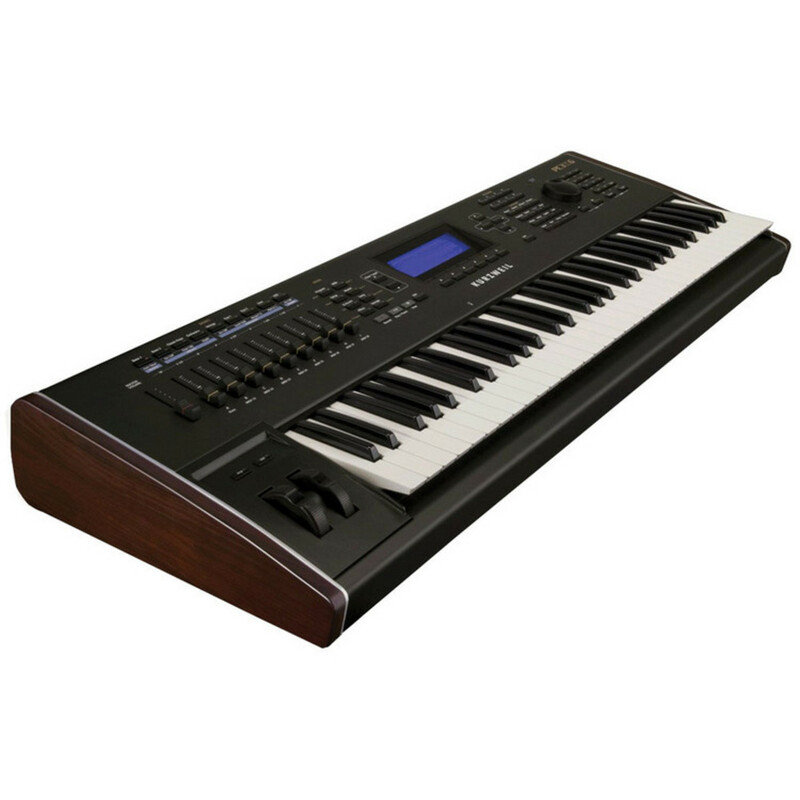 Some of the Kurzweil PC3 series keyboards feature anti-aliasing VA oscillators, improved KB3 mode, amazing sound sets, 16 independent riffs and arpeggiators, powerful song and QA modes, sampling, unparalleled MIDI control, and lots more. 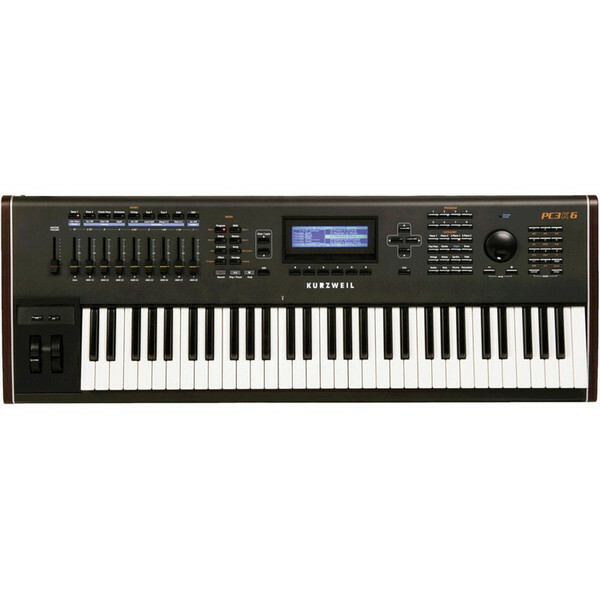 The PC3K6 provides 128MB of user-sample memory, which is made possible by a breakthrough in sample flash technology. This sample flash memory allows the PC3K6 to keep hold of user samples after a power cycle, but it also powers back on with zero sample load time. 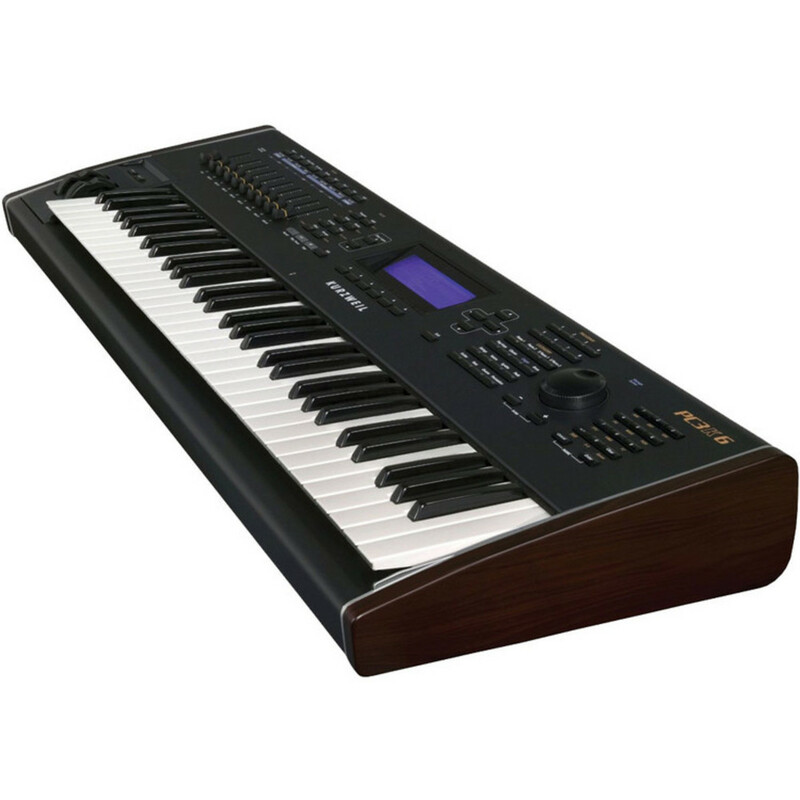 If you're looking for top performance sounds from a super-stable keyboard, the Kurzweil PC3K6 has it all. Sample Flash Memory: 128MB of re-loadable*, non-volatile, user flash ROM (loaded samples stay in memory even after power cycle). *Samples can be loaded via direct-USB connection and/or USB thumb-drive but are best loaded via USB thumb-drive as direct-USB capacities are limited. User Memory:	16,000 locations for user objects. Unlimited tracks (on import): 960 PPQ resolution. Song editing functions include both event and track-based tools like quantize, swing, remap, controller scaling and more. Controller chasing and a global "set song length" functions are also featured. Controllers:	Pitch wheel, modulation wheel, 9 front panel sliders/drawbar controllers, 10 front panel switches (momentary or toggle, software selectable), 3 switch pedal input, 2 continuous control pedal inputs, mono pressure, Super Ribbon input, breath controller input. Controller values can be "captured" and stored as part of a program. Arpeggiator:	16 full-featured independent arpeggiators with multiple latch modes, selectable play order, velocity, duration, tempo, and sync functions as well as pre-recorded beats and musical phrases.